Our complete packs contain everything you need to a get a Professional Wireless CCTV Security System up and running with broadcast built in. Using your internet connection you can view the cameras on the monitor console and immediately on a browser anywhere in the world. 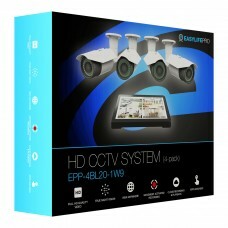 The EASYLIFEPRO Indoor pack is designed to create an instant CCTV system, ready to go straight from .. The EASYLIFEPRO Outdoor pack is designed to create an instant CCTV system, ready to go straight from.. The EASYLIFE PRO Outdoor pack is designed to create an instant CCTV system, ready to go stra.. The EASYLIFE PRO Indoor/outdoor pack is our lowest cost option design..